FORT WASHINGTON, PA (December 7, 2016) — Pharmaceutical Market Research Group (PMRG), elected Roni DasGupta, President of M3 Global Research, to the 2017 Board of Directors. The Board of PMRG is comprised of the President, Vice President, Chairman and Directors-at-Large. Ms. DasGupta previously held the Secretary position under the 2016 Executive Committee. President of Market Research, Americas, at M3 Global Research, DasGupta has over 18 years of experience in the market research industry, and has enjoyed significant success since early in her career. 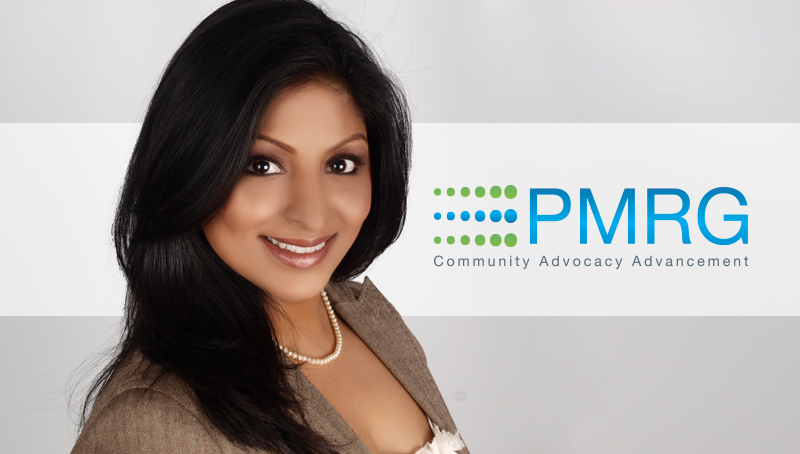 She is also the founder of PMRG Charities, serves as PMRG Secretary, and is on the EphMRA board of ethics. PMRG is an independent, non-profit trade association which stimulates the advancement of marketing research in the healthcare industry. PMRG serves U.S. and global end-client researchers and service providers representing pharmaceuticals, biologics, medical/surgical devices and diagnostics. Founded in 1961, PMRG is one of the oldest associations of its kind, and has stood the test of time, evolving from a small association to a thriving national organization infused with numerous volunteers, educational events, conferences and networking opportunities.